Hey, guys. I'm comin' to ya late with a post for #blogtober14 because today was my first day at my new internship (at the best little children's book publisher in Chicago!!) and I just got home. It was a great first day & I'm so glad to be there. Also, I wasn't suuuper excited to write this post, haha. As new blogger I don't have a ton of editing apps partly because I'm not really educated in which ones I should have and because I was convinced the play store didn't have all the same apps the apple store had (I'm still partly convinced) until I just searched for VSCOcam and found it... uh, when did that become available? 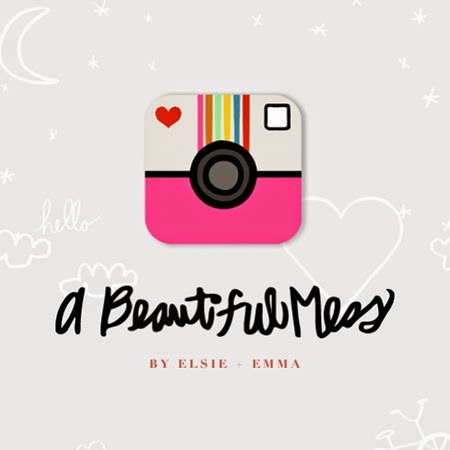 Anway, I have Instagram, Aviary, and I like to use the Pic Monkey website but I also really love the A Beautiful Mess app. With this app, you can add beautiful text (and do other things that I probably don't understand or know how to do) to your pictures and they end up looking super gorgeous and graphic designer-y. Bottom line... I'm not super tech-y, and while I know you don't technically have to be in order to use editing apps, I just don't like to spend so much time editing one single picture. Does that make me a bad blogger?! I happen to think Instagram does just fine. I already feel like I spend a lot (maybe too much sometimes) of time connected to my phone, computer, and/or social media that I don't want to spend even more time editing a picture of the vegetarian meatloaf I just made in order to make it appear more appetizing because 1, no filter will make it look appetizing and 2, I'm hungry. And I just want to live. So, editing apps, let this drama queen me live! 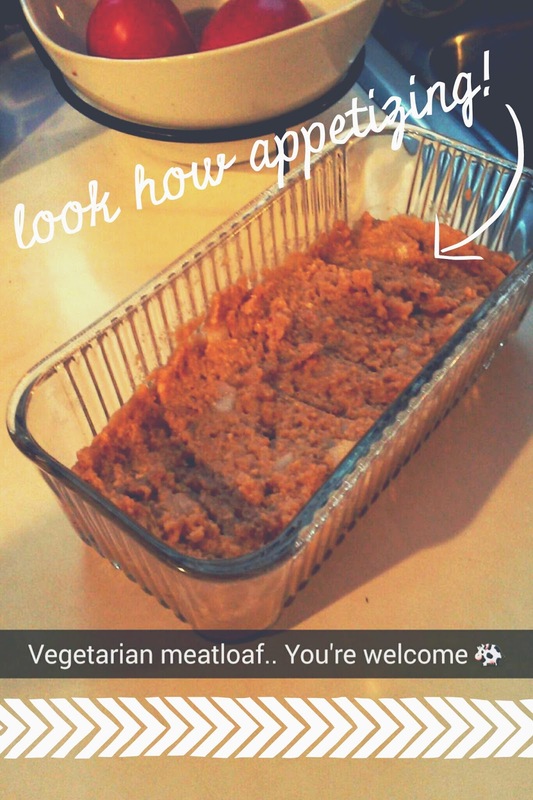 aaand being the hypocrite I am I just spent ten minutes too long editing (see...it didn't help ;) ) the lovely snapchat of the vegetarian meatloaf I will eat tonight as my family eats regular meatloaf while also making fun of me for making said vegetarian meatloaf. Whatever. PeaceLoveCows. 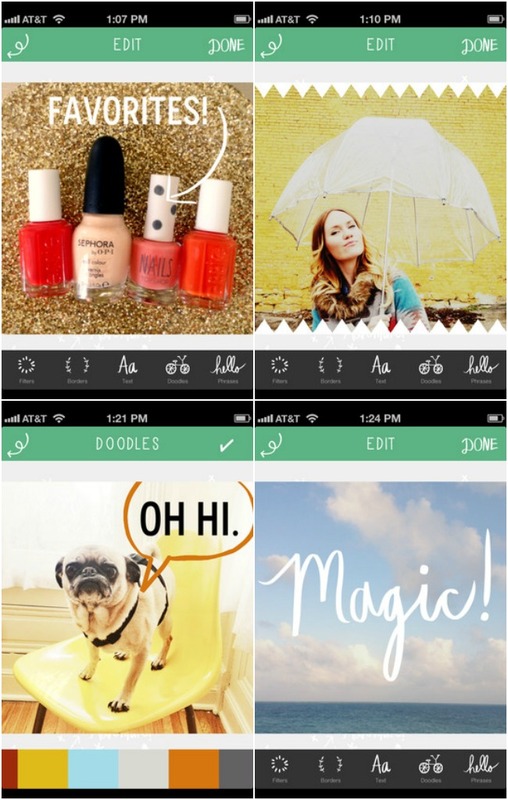 But to all you bloggers who have stunning photos and make it seem so effortless... how do you do it?! I look forward to reading all of your guys' posts from today and learn from you all! Link up with Taylor, Helene, & the rest of us for #blogtober14! Really?? Luckily, I haven't had that problem but I don't use it a ton (since I don't edit a ton) so I probably haven't given it a chance to crash haha. HaHa, I love your straight forwardness, and yes it's better to get out there and live :).